This fun printable New Years Eve printable party collection perfect for last minute at home printing. And because it is in black and white, I can even print it out on my favorite laser printer. 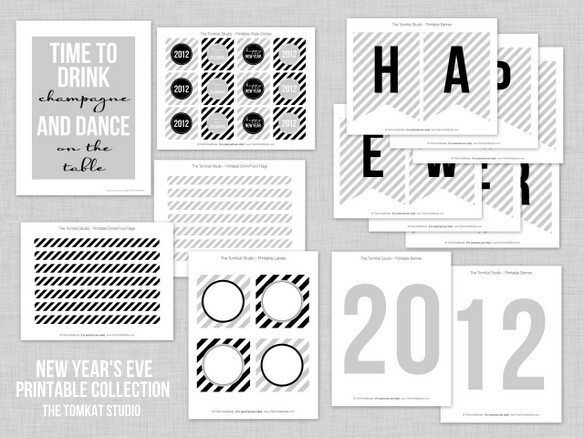 You can download this black and white New Years Eve party set over at The TomKat Studio.